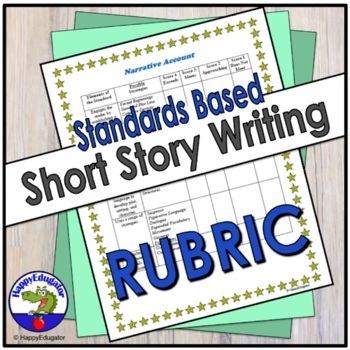 Standards Based Narrative Account or Short Story Rubric for reference and assessment. Use this writing rubric when students have to write a short story narrative. Includes engaging the reader, organization, sensory details, range of strategies including figurative language or dialogue, excludes extraneous information, provides a sense of closure, and conventions. Grading scale included. 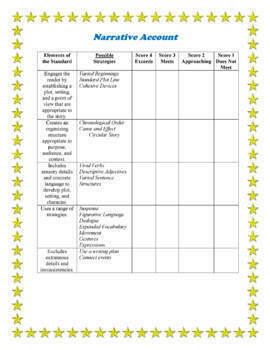 Scoring four point scale for each area of standards evaluation: Exceeds, Meets, Approaching, and Does Not Meet.